The Prodigy Special releases and box sets. 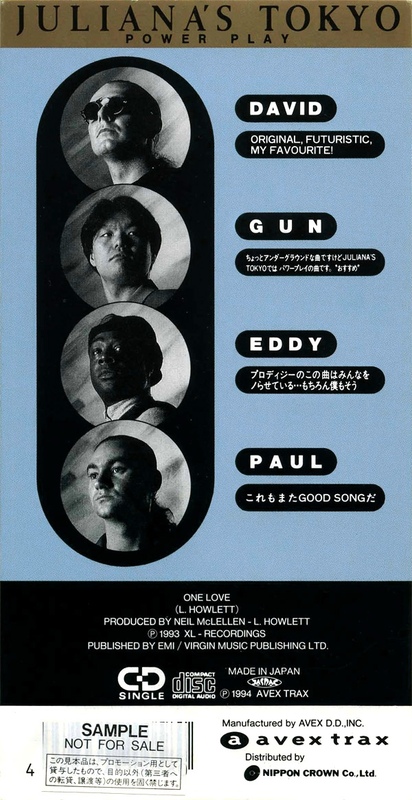 Quite rare 3" CD released on Japanese Avex Trax. The Juliana mix is acctually just One Love (Edit). 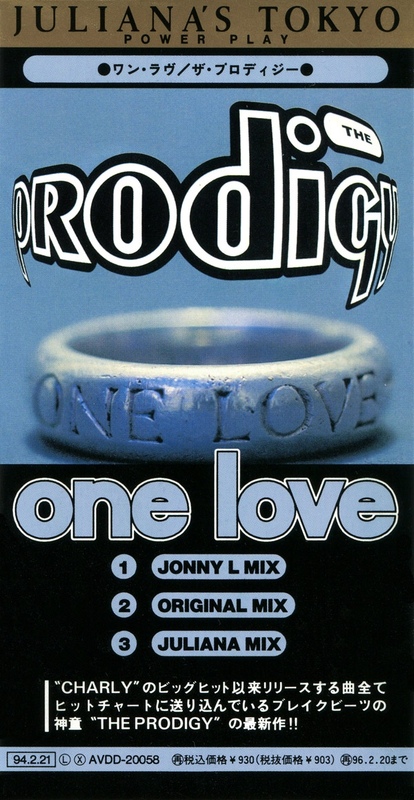 What makes the One Love 3" release on Avex Trax so interesting is the packaging and of course the fact that it contains the Original Mix of One Love. You could also obtain the Original Mix in CD quality on the 4th Chapter by XL-Recordings.